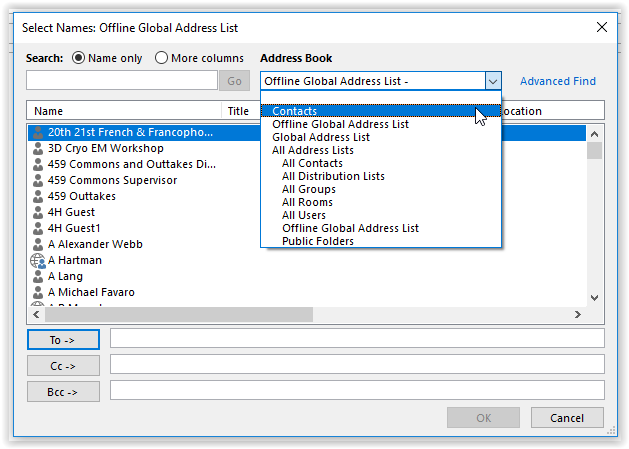 The following article describes how to manage your Address Book in Outlook 2016. 1. Switch to the People view in the bottom left corner of the screen. 2. In the folder pane, select the address book you want to view. 2. In the Current View tab at the top of the screen, you can choose from multiple different views. 2. 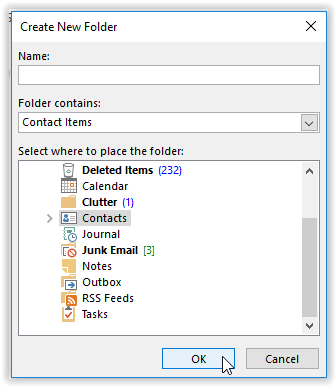 Select the Folder tab at the top of the screen and click the New Folder button. 3. Type a name for the folder, and click OK.
4. 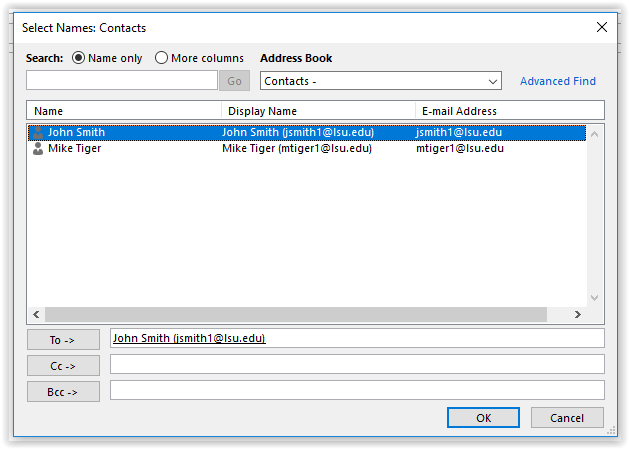 To move an existing contact, select the contact and drag it to the newly created folder. 1. Switch to the Mail view in the bottom left corner of the screen. 2. 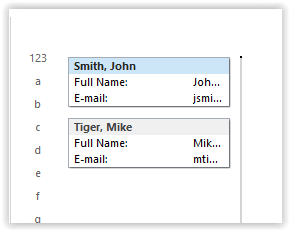 Select the Home tab at the top of the screen, and click the New Email button. 3. Click To at the top of the e-mail screen. 4. 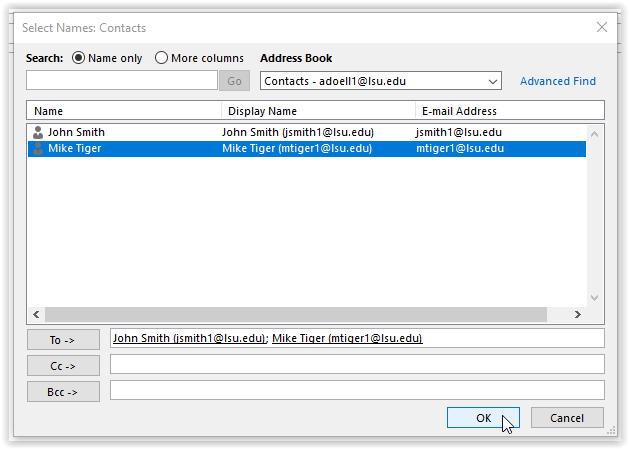 Choose a contact book from the drop down menu, and select the specific contacts by double-clicking on the contact information. 5. Once the desired contacts have been selected, click OK.